Miss Kelly's Gym is a local, family owned gymnastics and fitness facility for kids. We offer gymnastics, dance and sport skills classes as well as children's Birthday Parties, Parents Night Out, Kids Camps and Open Gym! We have open gym most Friday evenings from 6:00 pm-7:30 pm. We also have summer camps and clinics when schools out on holidays. Ninja, Silks, Tumbling, Preschool and Progressive Boys and Girls Gymnastics! Olympia Gymnastics offers gymnastics in a variety of ways for ages 18months-18 years. 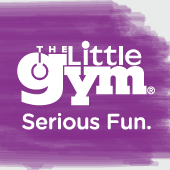 We offer recreational gymnastics, women's competitive gymnastics, and Ninja classes. Have you always wanted to run away and join the circus? Introductory workshops and classes offered On the FLY Productions (America’s Got Talent, TruTV’s Fake Off), www.ontheflypros.com, give participants a sneak peek into daily training with our FLY Team that perform on stages all over the world such as cruise ships, TV shows, and amusement parks. Instructional gymnastics classes for boys and girls of all ages and skill levels.